Learn the difference between aceto balsamico and condimento, taste some amazing prosciutto and parmigiano, immerse yourself in a traditional bowl of tortellini while sipping a red, strong lambrusco, and also discover the beauty, the paths and the hidden gems of this lively, perfectly preserved medieval centre, from its world famous porticoes to its piazzas. 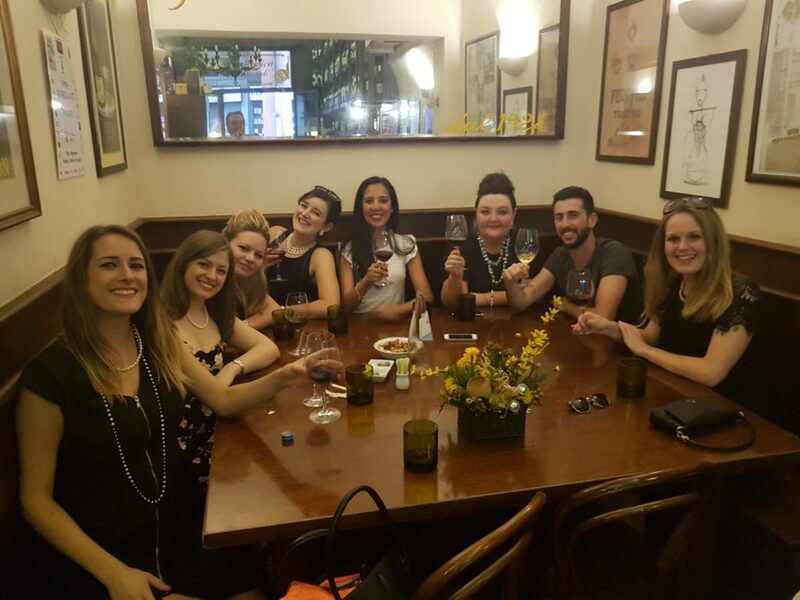 A food tour is a great way to discover Bologna while savouring some wonderful, traditional flavours. From picturesque alleys to majestic statues, the tour inevitably ends with a yummy gelato! The hottest food tour in town is indeed Delicious Bologna, available for daylight (cappuccino to gelato) and nighttime (aperitivo to gelato). Markets are indeed a great asset of Bologna’s shopping and foodie experience. 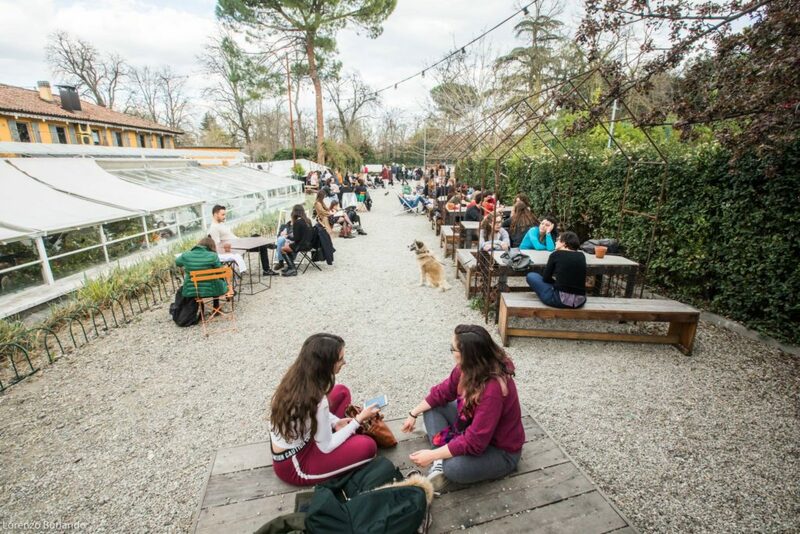 During the day, you must not miss Mercato delle erbe, a covered food market full of veggies, street food and traditional delicacies that also hosts an array of bars, restaurants and cafes. 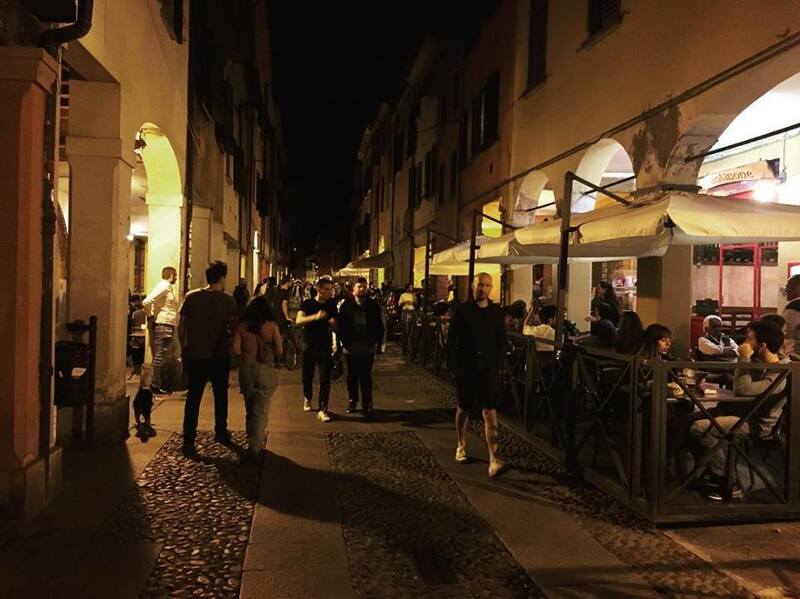 In the evenings the stalls close but the bars and restaurants stay open, with a lively crowd doing the inevitable rite of the aperitivo and have some casual dinner. Mercato di mezzo used to be another covered marked and is now an ensamble of lively stalls where you can have everything from fish sandwiches to fresh pasta, plus one of the best bread makers in town, Forno Calzolari. My advice? Buy something here and eat it at Osteria del sole, the oldest osteria in town where you buy inexpensive wine and are welcome to bring your own food. Great atmosphere! If you’re in Bologna on a Friday or Saturday, don’t miss the clothes market Piazzola and its vintage neighbour La Montagnola for some great bargains. 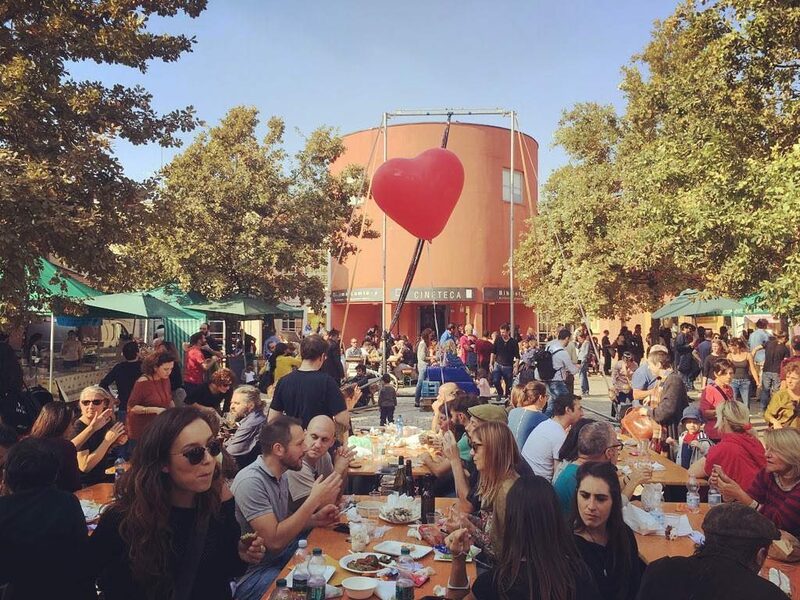 Finally, the courtyard of the local Cinemathèque all Saturdays host a great farmers’ market, Mercato Ritrovato, with local producers’ great street food and a supercool atmosphere at lunchtime. It is a frequent ritual of every Bolognese, especially those who drunk or ate a little too much the days before and will to make good. 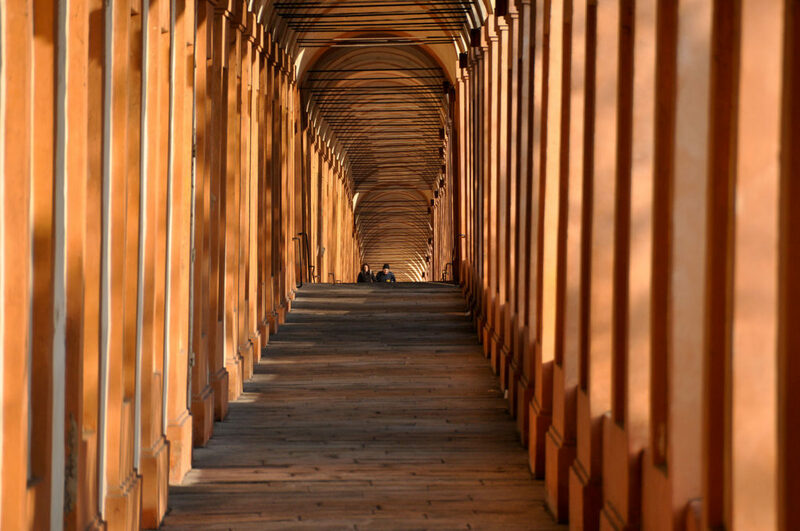 Climbing along the porticoes that take you to Santuario della Madonna di San Luca means doing some nice physical activity while enjoying the world’s longest portico(3.796 meters, with 666 arcades and 489 steps) and discovering, step by step, the green sweetness of Bologna’s hills and an amazing panorama of the town. Despite the visual presence of “i colli” (Bologna’s neighbouring hills), this town isn’t super green. However, it has some pretty cool parks and gardens that deserve to be visited. Founded in 1568, the Botanical garden is one of the oldest in Europe, with about 1800 different species. It’s also very close to the University district, which deserves a visit. Another popular and quite central garden is Giardini Margherita, by far the most loved in town and house of one of my favourite places: Le Serre dei Giardini, a garden cafe slash event’s hub, has the most lively and relaxing vibe and is great both to lazily hang out during the day and to enjoy a concert, an open-air film screening or a drink at night. It’s definitely one of the places to be during the spring and summer. In May and September Giardini Margherita also hosts a flower show called Giardini e Terrazzi. So it’s time to try and fold that tortellino. To learn the difference from this and tortellone (no, it’s not just the size and two vowels). To wear that apron, take that rolling pin, get some flour and fresh eggs and start kneading the dough. 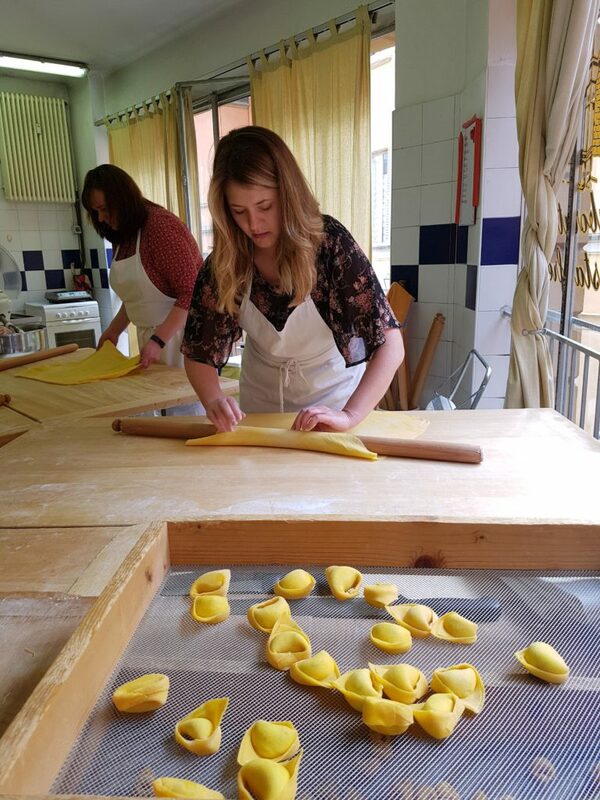 A cooking class in Bologna is a fun way to merge into the local culture and learn something you’ll take home with you. Also, you’ll bond with your pals over a plate of piping hot fresh pasta you prepared all together. 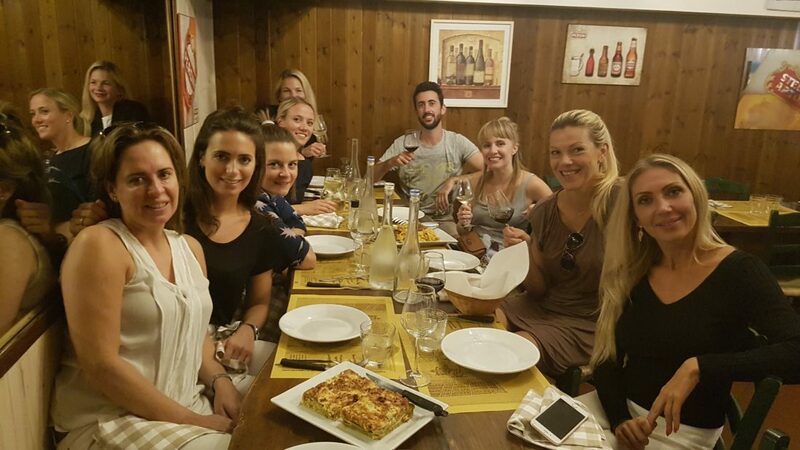 Delicious Bologna’s cooking classes take place in a traditional pasta laboratory in the city center, next to all amenities and with a cosy, super local atmosphere. Via del Pratello, known by the locals as “Il Pratello”, is a long street that used to have a bad reputation and is now the central hub of Bologna’s movida. With a long sequence of bars, it is a nighttime must go and has a lively, young vibe. Mind you, when I say “young” I also mean the young at heart: see, this University town has the peculiarity of making its inhabitants feel like they’re students also at 30, 40 and 50 years old. Everyone is happily, lazily drinking beer at walking around Il Pratello or lounging by adjacent Piazza San Francesco, where it’s not rare to have some improvised live music from some student with a guitar. The vibe is informal and so is the dress code. 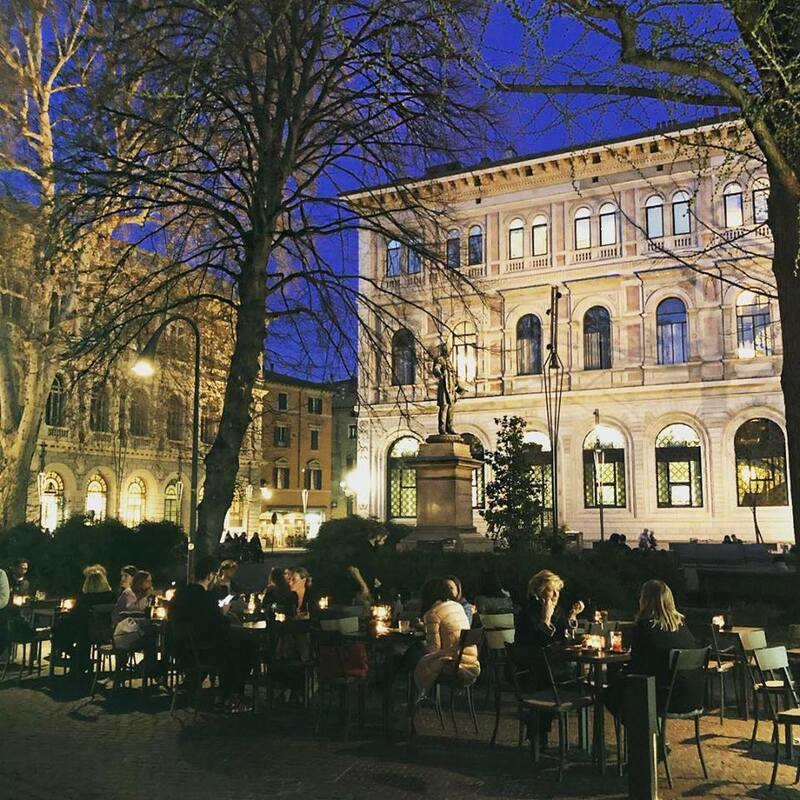 Ok, so you like to sip your glass of wine in a nice, classy atmosphere and with some beautiful piazza or elegant building in front of you. If that’s what you’re about the places to go are Piazza Minghetti and Piazza Santo Stefano. The latter is the queen of picturesque aperitivos, with fancy cafes Camera con vista and Agricola e Vitale, panoramic Caffè Santo Stefano and wine-expert Vineria Favalli Piazza Minghetti one of the few non medieval and non Renaissance squares of the city (its buildings are mostly from the XIXth centuries), there are Café de Paris and Casa Minghetti, where you can have a nice open air dinner or drink.